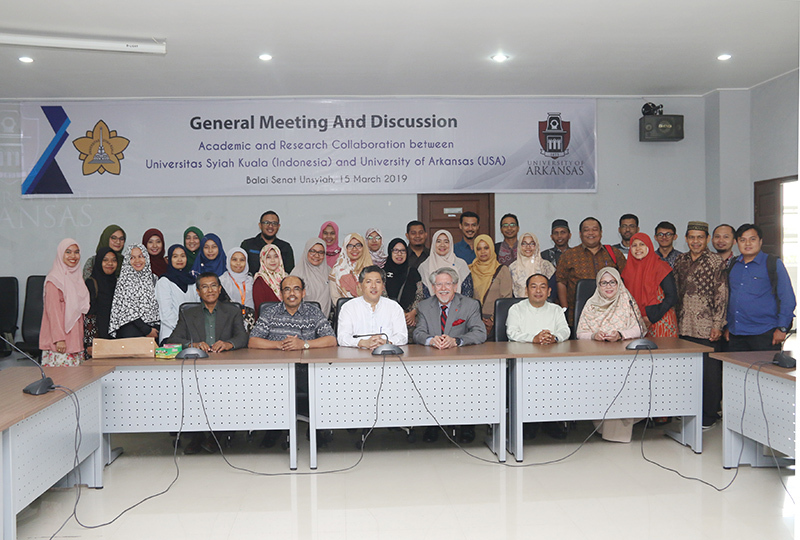 Two professors from the University of Arkansas, United States, held a meeting with Syiah Kuala University lecturers at the Senate Hall on Friday (3/15). The two professors are Prof. Curt Rom and Prof. Peter Ungar was welcomed directly by the Unsyiah Deputy Rector for Education, Prof. Marwan. In the meeting, Prof. Curt Rom introduced the University of Arkansas, which he said was strong in economics and agriculture. He added, this university is the largest in the Arkansas area. Many students from around the world come to study. 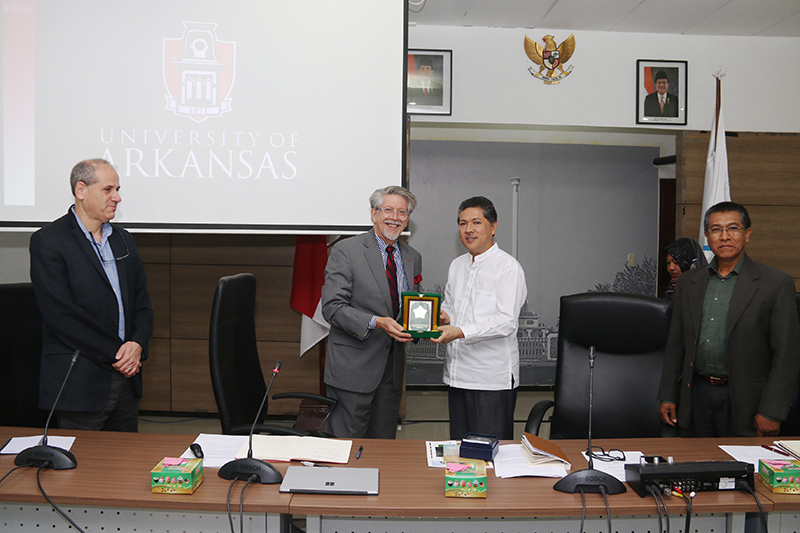 Prof. Curt Rom also invited the instructors at Unsyiah to be able to continue their studies at the University of Arkansas. Moreover, according to him, Arkansas and Aceh have had strong relations since the 2004 tsunami.